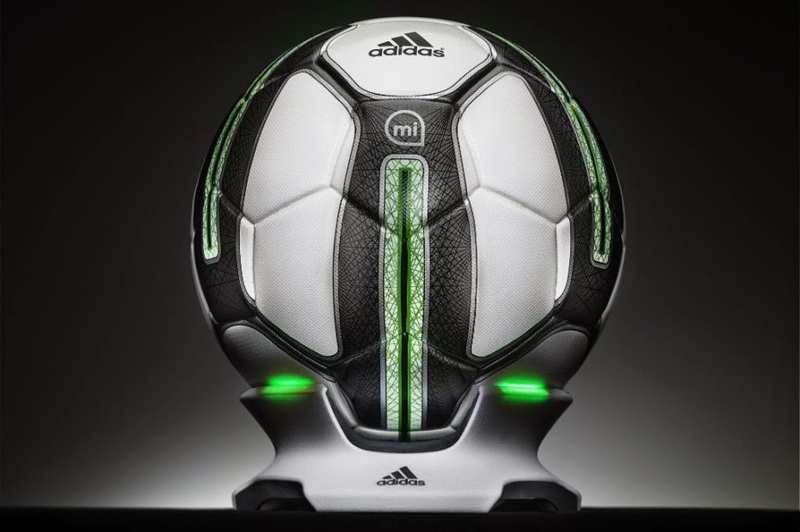 The adidas miCoach SMART BALL is the latest adidas performance development. The Bluetooth and app enabled football integrates sensor technology for a variety of on-field situations such as free-kicks and corners. It relays data on how hard the ball has been struck, offering info such as visual flight trajectories and relays the information to the adidas miCoach SMART BALL app on the iPhone and iPod Touch. This data can then be used to help in training with aspects such as kick technique and placement. The miCoach SMART BALL is now available exclusively for $299 at adidas.